This cute girl with striking two-tone hair is Kana, a 20-year-old college student. She’s wearing a Marilyn Monroe t-shirt with a short flirty polka dot skirt from Cantwo (which she told us is her favorite fashion venue). 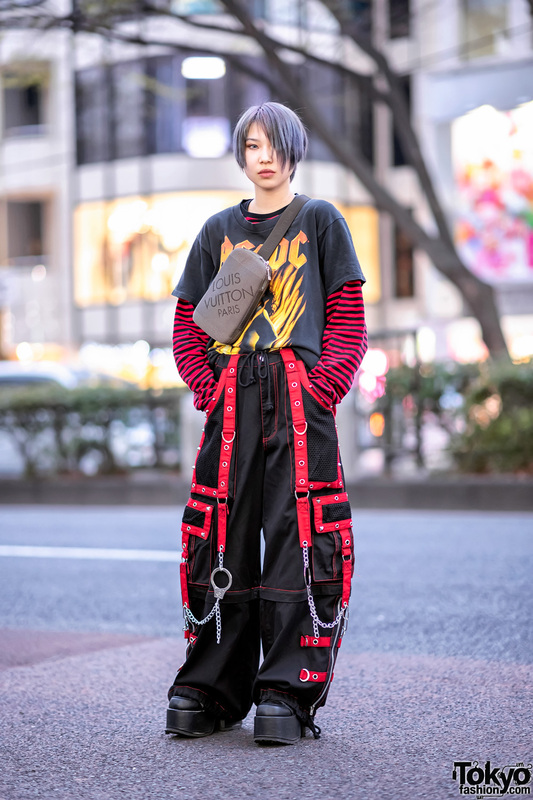 Accessories include a wide corset-style belt, a cool floppy crochet cap, a bracelet that looks like a pair of juicy lips, and a silver dolphin ring. 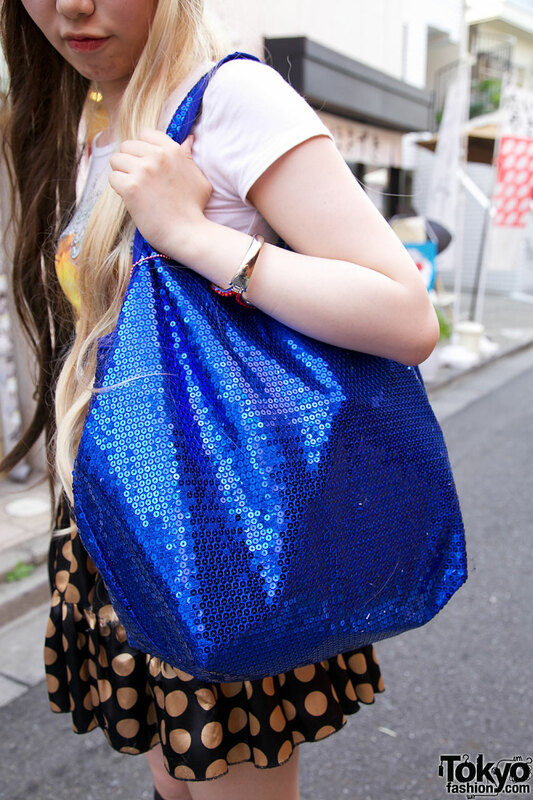 Her bright blue sequined bag is from Comme Ca. Black knee socks and loafer shoes complete her outfit. We asked Kana about her favorite type of music and she said she likes Western pop. I want her hair so bad ._. I love those girls whose excellent sense of style can’t quite make up for the fact that they’re rather funny looking. It’s a wig. Search 2 tone wig. Easy. And…she isn’t funny looking she is intentionally making that face. It’s part of the look.